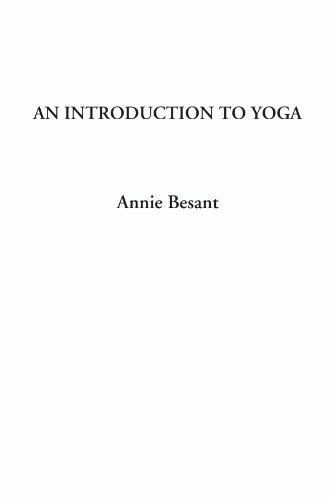 "An Introduction to Yoga" book has a beautiful glossy cover and a blank page for the dedication. "I propose to deal first with the two great methods of Yoga, one related to the Self and the other to the Not-Self. Let me remind you, before I begin, that we are dealing only with the science of Yoga and not with other means of attaining union with the Divine. The scientific method, following the old Indian conception, is the one to which I am asking your attention. I would remind you, however, that, though I am only dealing with this, there remain also the other two great ways of Bhakti and Karma. The Yoga we are studying specially concerns the Marga of Jnanam or knowledge, and within that way, within that Marga or path of knowledge, we find that three subdivisions occur, as everywhere in nature."